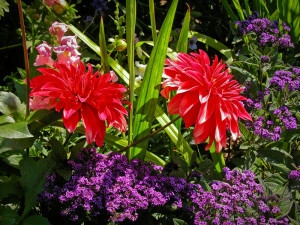 Join us for a photographic journey of some remarkable public gardens, from expansive to intimate, in Quebec and Maine. 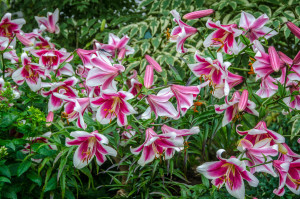 A day spent in a lovely garden makes a delightful addition to a summer vacation. On this virtual tour you will be both inspired and delighted, as you stroll along gentle paths beside colorful flowers and peaceful water, past productive kitchen gardens and through wooded glades. Our journey begins and ends at two notable botanical gardens, each designed on a grand scale to teach as well as to entertain. In between we will visit a medley of smaller gardens, each unique and each special. We begin our tour at the venerable Montreal Botanical Gardens. 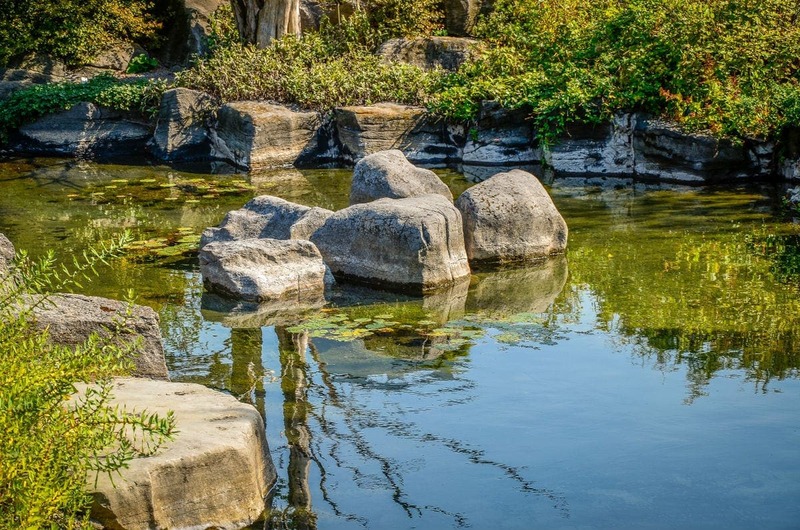 Created at the height of the depression as ‘Park for the People’ the Montreal Botanical Gardens gardens now encompass several beautiful cultural spaces and numerous thematic display gardens–from roses to vegetables. There is also a huge greenhouse complex (open all year round) and other special indoor displays such as the Insectarium. After a quick stop at the nearby the Jardin Daniel A. Sequin teaching facility we progress to Quebec City. Quebec City is like a City of Flowers, with beautiful public plantings enhancing each of the numerous historic buildings. There are also several larger parks both within the city limits and beyond that can be a pert of your visit to this part of Canada. Then we will visit two unique gardens situated just a mile apart on Mount Desert Island in Maine. One evokes a formal English garden, while the other was inspired by abstract Japanese principles. The story of their creation touches on the remote community of Northeast Harbor on Mount Desert Island, and most especially of the lasting friendship between an artistically gifted local man and some notable members of the elite summer community. 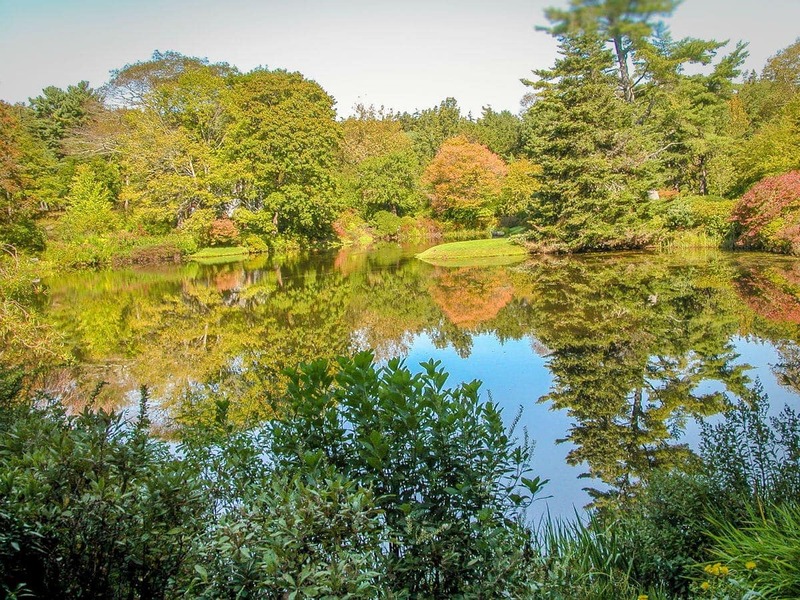 Our final stop is to see the Coastal Maine Botanical Gardens set on the picturesque Boothbay Peninsula. 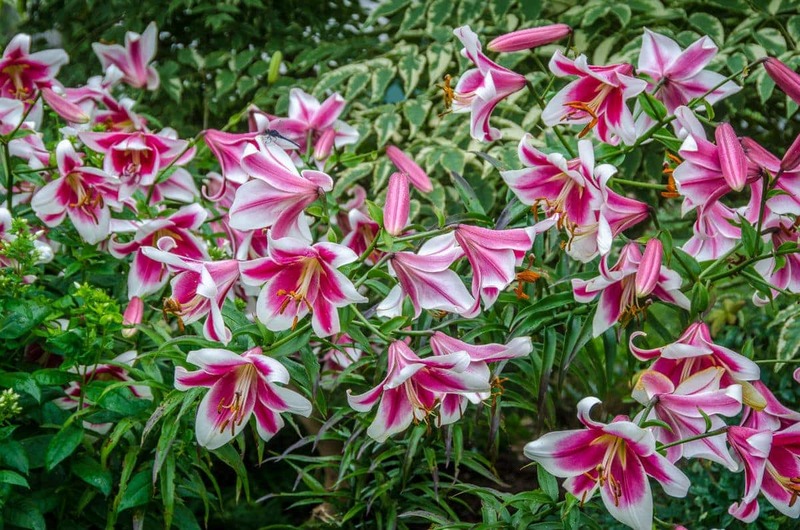 As with the Montreal Botanical Gardens, these are designed to both teach and inspire. But unlike their counterpart in Montreal, the Coastal Maine Botanical Gardens completely contemporary, first opening their garden to the public in 2007. 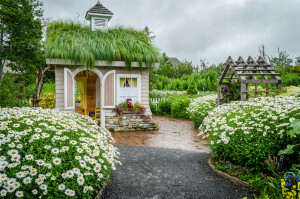 But, despite their youth, the these new gardens appear amazingly mature and complete, as they are filled to the brim with stunning perennials and annuals.